Eminem and Australian rapper Iggy Azalea received an impressive seven nominations each. Eminem scores multiple nods for categories including “Best Hip-Hop,” “Best Male” and “Best Collaboration” while previous “Artist to Watch” nominee Iggy Azalea finds herself vying for some of the top awards including “Video of the Year,” “Best Female” and “Best Pop.” Beginning today, fans can vote in VMA categories, including “Video of the Year,” “Artist to Watch” and more by visiting vma.mtv.com. Battling it out for the highly coveted “Video of the Year” are Iggy Azalea ft. Charli XCX with their 90’s throwback “Clueless” homage “Fancy,” Beyoncé ft. JAY Z’s dark and sensuous “Drunk in Love,” the catchy pop phenomenon “Happy” by Pharrell Williams, Sia’s mysterious and faceless “Chandelier” and the video that spawned a million memes, Miley Cyrus’ “Wrecking Ball.” Previous recent “Video of the Year” winners include Justin Timberlake’s “Mirrors” (2013), Rihanna’s ft. Calvin Harris “We Found Love” (2012), Katy Perry’s “Firework” (2011) and Lady Gaga’s “Bad Romance” (2010). Following last year’s groundbreaking stop-motion video nominations announcement via MTV’s Instagram and Vine accounts, MTV notched yet another first by revealing this year’s nominations via MTV’s Snapchat account. Earlier this morning, the nominations were revealed exclusively via MTV snaps featuring “MTV Artist to Watch” alums Austin Mahone and Fifth Harmony, emerging artist Becky G, and MTV talent including “Teen Wolf’s” Tyler Posey, “Awkward’s” Jillian Rose Reed, “Girl Code’s” Carly Aquilino and “Guy Code’s” Charlamagne Tha God. 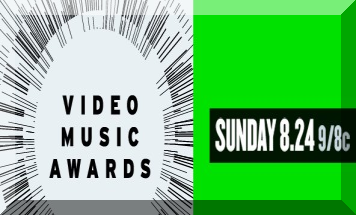 Beginning today, fans can vote in VMA categories, including “Best Hip Hop,” “MTV Clubland,” “Best Video with a Social Message,” and more by visiting vma.mtv.com. Additionally, fans can vote for “MTV Artist To Watch,” presented by Taco Bell®, by texting the nominee’s name to 22444 (standard message and data rates apply). 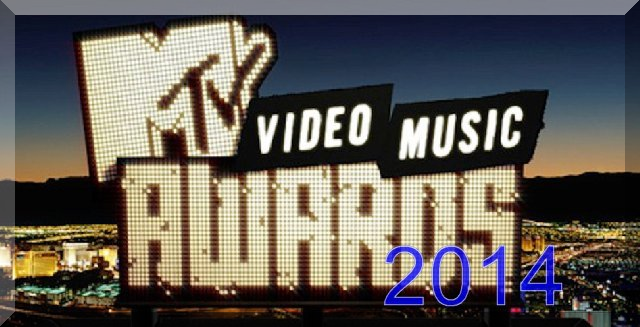 For additional information on all 2014 “MTV Video Music Award” nominees, please visit Artists.MTV on the web, or download the free MTV Artists app.